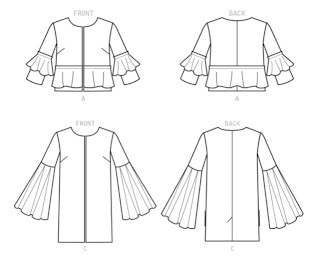 Pattern Description: Lined, pullover dresses with or without peplum have close-fitting bodice, back neckline, skirt (fitted through hips) and sleeve variations, and elasticized waist. Pattern Sizing: I cut out a Size 14 and altered it to fit my body. Did it look like the photo/drawing on the pattern once you were done sewing with it? Yes, I believe so. Were the instructions easy to follow? Absolutely, pretty straight forward. What did you particularly like about the pattern? It was a quick and easy make, with no zipper. 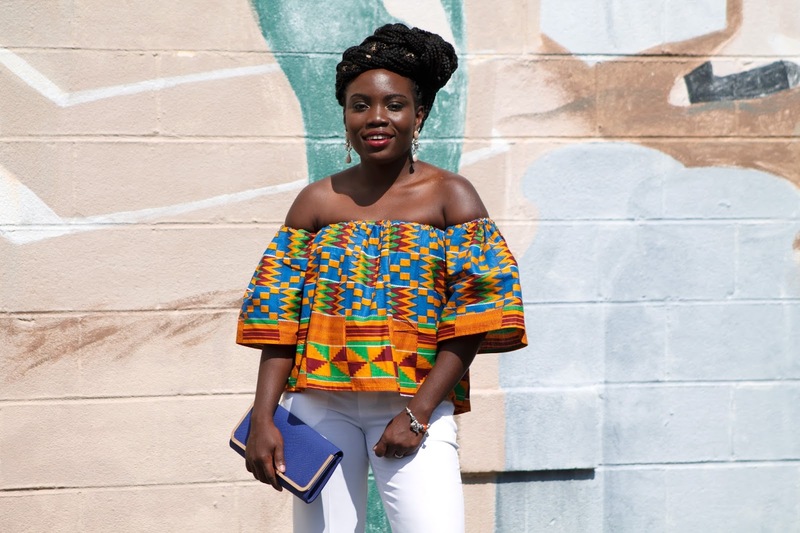 I love the cowl neckline and the fact that you can mix and match the pattern to make a style that suits you. 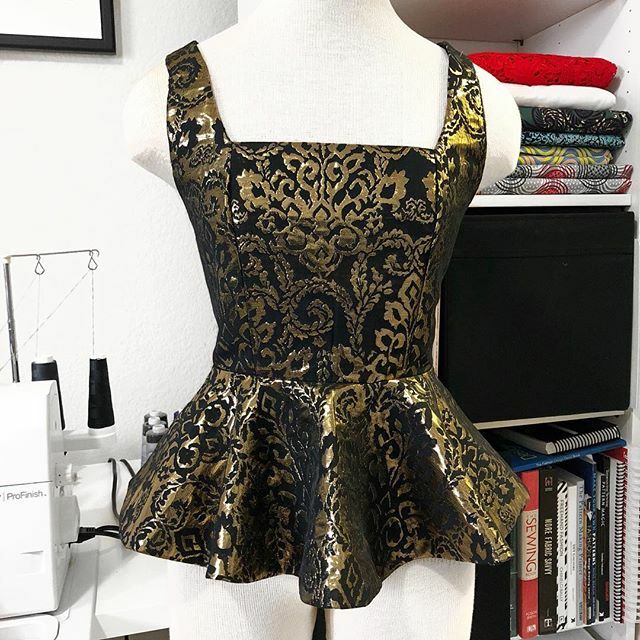 Pattern alterations or any design changes you made: I made view D and added the sleeves and peplum from view C. I also added some curves to the skirt so it can be more fitted. And lastly I took about 2-3 inches off the train. Would you sew it again? Yes, most definitely.. Might use black sequins fabric next time. Would you recommend it to others? Yes, it's easy to make. I Appreciate YOU for Stopping by..
Hello Beautiful People.. Happy New Month! If you don't know already, Pretty Girls Sew's Monthly Sew Along is baaaack. Our 5th Year Anniversary is this Month, So we decided to do an oldie but goodie.. If you'd like to join our upcoming sew alongs, make sure to follow @PrettyGirlsSew on Instagram. May Sew Along is now up. Let's talk about this midriff top tho.. Even though, I almost NEVER show my midriff/belle/fupa/love handle (except for this time), I was excited to make this top. I didn't even hesitate.. I just started looking for fabric and decided to wear it while on travel, in Houston. 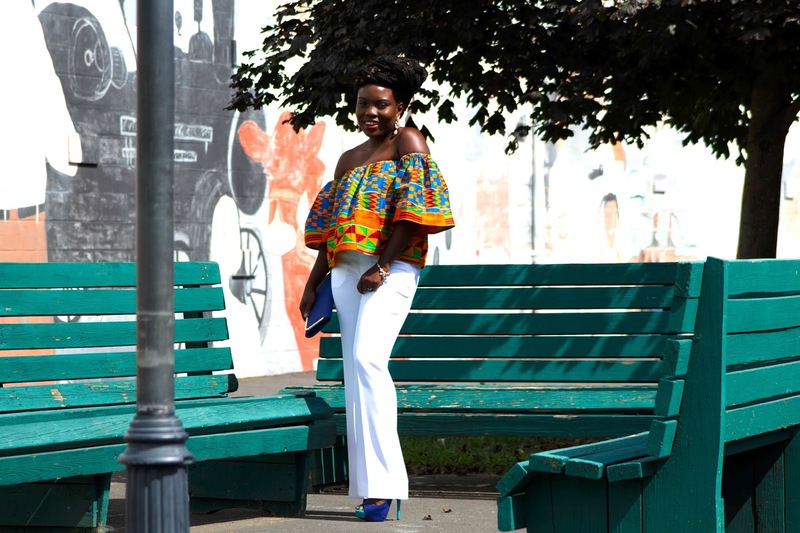 The top is so romantic and the print was giving me Tropical Vibes.. Probably one of the coolest outfit I've ever made. And I'm super proud of myself for wearing it and taking pics to share with you all. Pattern Description: Very loose fitting off the shoulder tops have elasticized neckline and waist and sleeve variations. A, B: Ruffles. Loose fitting pull-on pants have elasticized waist and pockets. 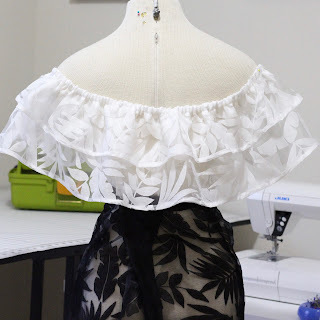 Pattern Sizing: I couldn't find my size, so I purchased the pattern size L-XL and altered the pattern to fit my size. A lot of people said the pattern runs big. Did it look like the photo/drawing on the pattern once you were done sewing with it? Not exactly. The fabric I used made it look a little different. Were the instructions easy to follow? Absolutely, I sewed the top and pants after work one day. What did you particularly like about the pattern? Love the top variation. It's also very comfortable and stylish. 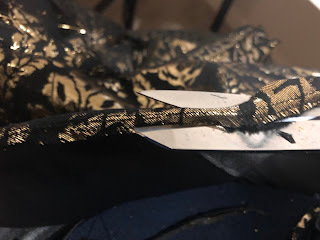 Pattern alterations or any design changes you made: No design changes, just took out an inch or so from the side seams so that the garment can fit me better. 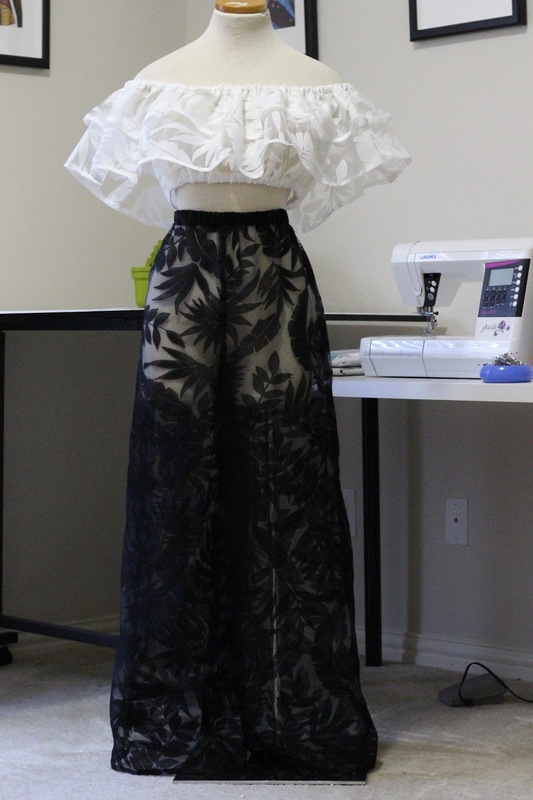 I also chose not to add pockets. Would you sew it again? Yes, would love to sew it in other cool fabric. Would you recommend it to others? Yes, perfect for beginners. Hope this inspired you to make your own version. You Are Amazing, You Are Beautiful, You Are Smart, You Are A Child of God, and You Can Do Anything You Want to Do!! This is what I've always believed and lived by, thanks to some of the amazing women that have looked out for me all through the years. And this is what I try to instill in every girl and women around me. We have to continue to empower each other not matter what. Empowered. This is what I felt when I wore this top. I literally felt like I could conquer the world, especially after tackling those sleeves. The top is absolutely beautiful and I was glad to finally use this print that I have kept for years. 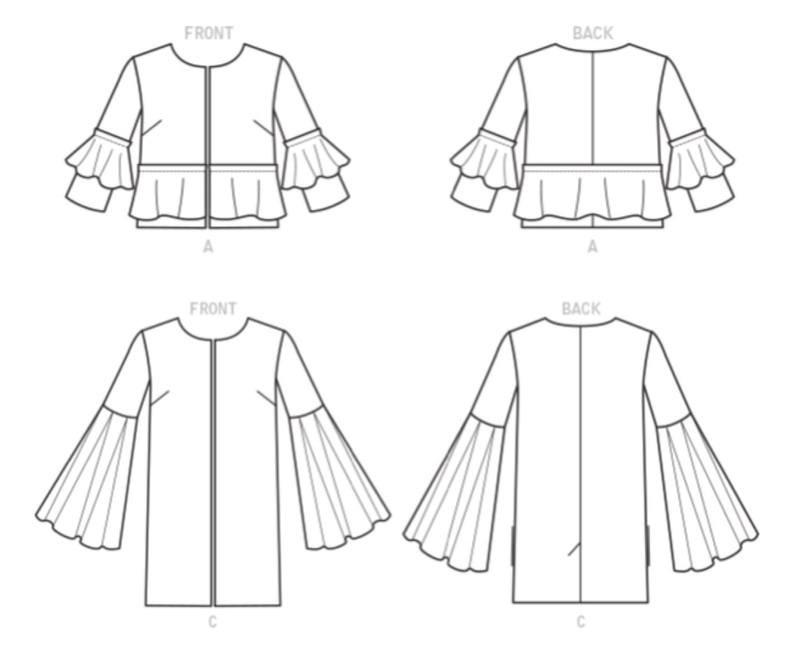 Pattern Description: Misses' Wrap Tops and Dresses with Waist Tie. Fitted tops and dresses have sleeve and length variations. Pattern Sizing: I cut out the Pattern Size 14 (I should have went smaller).. I think the size runs big a little, especially in the bust area. Did it look like the photo/drawing on the website once you were done sewing with it? I believe so.. Were the instructions easy to follow? Yes, the instructions were pretty easy to follow. What did you particularly like about the pattern? I love the sleeves.. They are so beautiful. Fabric Used: African Print from the Stash. Pattern alterations or any design changes you made: No alteration made. The only thing I did was fold and stitch the tuck before sewing the seam on the sleeves. This made it easier to stitch the tuck and press the sleeves. Would you sew it again? Yes, I will, but in a small size and maybe a solid color fabric. Would you recommend it to others? Yes, definitely a must have. It's also trendy.